At the beginning of this year, Practicing Physicians of America (PPA), a 501c6 physician membership organization (with whom I serve as an unpaid board member), collected results of a voluntary survey via social media channels on ABMS physician and surgeon Board certification. The method of data collection using social media. 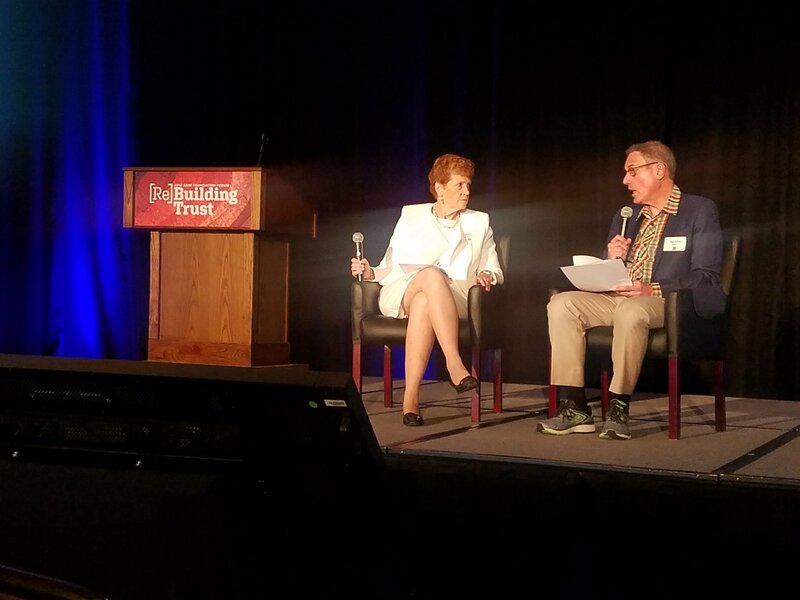 The data collection is novel compared to previous surveys conducted on this topic and for a while represented the largest reported survey on Board certification ever performed. We submitted the results to JAMA (and later to the Annals of Internal Medicine) in hopes they would be published. They were not. As is true with most surveys, bias was a prevailing concern. Shortly after our survey was being circulated, the American Board of Medical Specialties introduced their own survey on Board certification to pre-chosen "stakeholders" on Board certification. In July 2018 they announced the results of their survey. They had received responses from "36,392 people, including 34,616 physicians, 1,373 non-physician providers and stakeholders involved in the delivery of health care, and 403 members of the general public." To the best of my knowledge, the text of their survey was not made available to the public. Since we were waiting the reviews of PPA's survey for months, we were prohibited from publishing our results. After considering the reviewers' comments (which were very thoughtful), I think the odds of ever publishing such a survey of this type in a peer-reviewed scientific journal are low. Hence, the board of PPA has allowed me to announce the results of our survey publicly via this blog and (hopefully) Doximity so these results may be interpreted alongside the survey results reported by the American Board of Medical Specialties' Vision Commission. Admittedly, our survey asked different questions than that conducted by the ABMS, but the results are not only notable for their differences, but also for some similarities. By way of background, here are the 32 questions we asked in the PPA survey. Here is the full paper (with some minor edits) we submitted for peer review that was NOT accepted for publication. This pdf includes the background for the survey, the methods used, the results obtained, and a discussion of those results, as well as references, figures and tables. A large number of physicians responded to both surveys. Still, the PPA survey represented only 0.92% and the ABMS survey represented only 4.5% of the total US physician population in 2016. Neither survey mitigates potential under-coverage bias and non-response bias. In the PPA survey, 93% of physician respondents were board certified vs 96% in the ABMS survey. PPA survey included MDs and DOs; it is unclear how many ABMS physicians were MDs or DOs. PPA survey was simply distributed to physicians via social media, not targeted groups like the ABMS survey. Heavy contributors to the PPA survey included members of the Pennsylvania Medical Society and Doximity. Discontinuation of "continuous certification" was not offered as an option in ABMS survey. Ending MOC and reverting to lifetime certification with CME was offered as an alternative in the PPA survey. PPA survey assessed physician perceptions of the negative consequences, contract obligations, and potential conflicts of interest of MOC; ABMS survey did not address these issues. PPA survey specified physician-respondents' specialties and state of origin. ABMS survey did not. Finally, here is a pdf of the Powerpoint presentation I presented in June 2018 at the AMA House of Delegates meeting in Chicago summarizing findings from the PPA survey. 19% of physicians had at least one "grandfathered" certification. 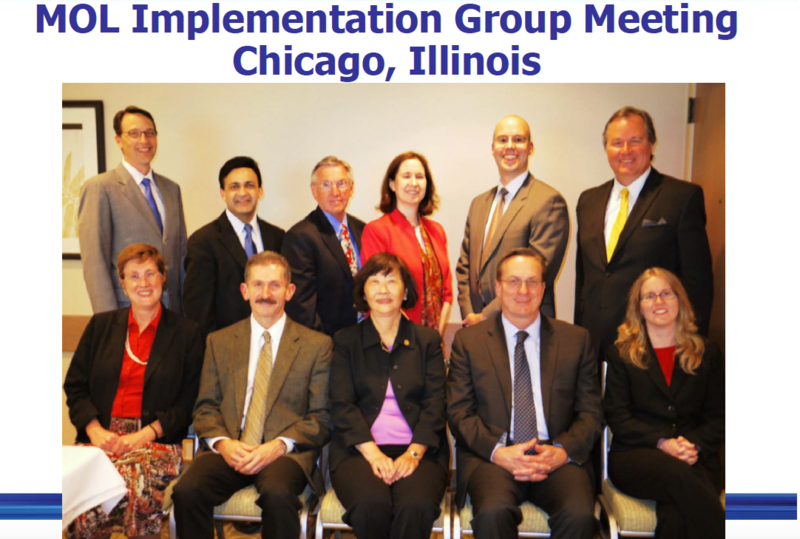 Of the physicians with initial ABMS board certification, 80% participated in MOC. 90% of all respondents thought board certification should be a lifetime credential with CME used for ongoing education. 95% felt MOC increases burnout. 53% of respondents estimated costs (direct and indirect) were more than $4000. 94% were unaware their data were being sold. 80% felt IRB and informed consent should be required for research conducted by the boards. 86% perceived MOC could threaten their right to work. 8.4% failed a recertification examination. Of the 394 physician that failed recertification, harms experienced included psychologic harms (more than 56%), 10% lost of hospital privileges , 5% lost their job, 8% lost insurance panel participation, and 17% plan to retire rather than retaking the re-certification examination. I hope these data are informative and provide a balanced perspective of a large cohort of US physicians' and surgeons' perspectives on ABMS Board initial and "continuous" certification. Physicians and others are welcome to use these data under a Creative Commons license (see below), we just ask for appropriate attribution. P.S. : Physicians desiring state-specific data regarding the PPA survey results are welcome to contact me via Twitter or email. Survey of US Physicians and Surgeons Perspectives on US Board Certification by Practicing Physicians of America is licensed under a Creative Commons Attribution 4.0 International License. Based on a work at http://www.practicingphysician.org. From now until we reach our contribution goal, an anonymous donor(s) has/have graciously stepped up to match, dollar-for-dollar, physicians' contributions to Practicing Physicians of America's GoFundMe page to fund the litigation factual and legal investigation and the drafting of proposed complaint against the American Board of Internal Medicine, the ABIM Foundation, their directors, executives, and perhaps others under federal antitrust laws and state consumer fraud and deceptive trade practices acts to bring an end to MOC™ nationwide. After four years of bring this issue to my readers on this blog, the AMA, and state legislatures, too many questions and conflicts of interest remain about the financial and political shenanigans of these organizations. 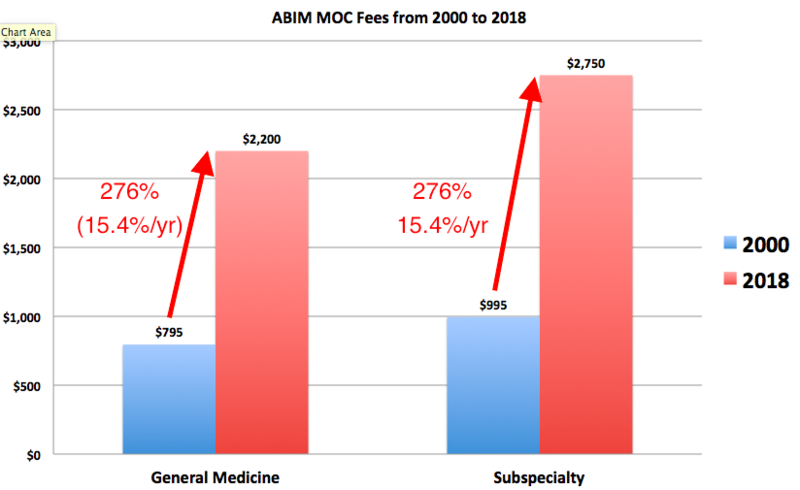 While the ABIM claims they have "listened," they still have failed to stop the ability of the proprietary ABMS MOC™program from potentially affecting a physicians ability to retain hospital credentials and insurance payments if they don't pay for the program; in other words, their right to work. Hundred of physicians have been adversely affected by this program already. For every physician who drops out of medicine because of refusal to play along, approximately 2000 patients are affected in turn. So please give generously. After all it's a "two-for-one" special going forward! Thanks everyone (and thanks to our special donor(s))! Yesterday, I read with interest the American College of Obstetricians and Gynecologists widely circulated piece authored by Lucia DiVenere, MA entitled, "MOC: ACOG's role in developing a solution to the heated controversy" published in the August issue of OBG Management. 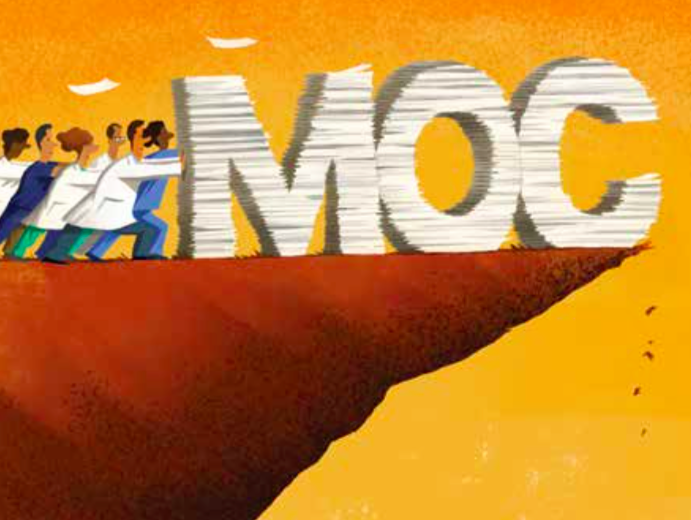 By carefully listing the numerous physician concerns with MOC (costs, relevance to practice, lack of data to improve care, relationship to licensing, employment, privileging, and reimbursement), the article reinforced many of the issues on this blog while being simultaneously crafted to sound as if ACOG was really "listening" to physicians concerns about ABMS Maintenance of Certification (MOC). It didn't take long for me to realize the article was really about the tired trope that the "ACOG asserts the importance of maintaining self-regulation." The leadership within the ACOG and Ms. DiVenere herself can hardly be described as "self" as far as working physicians are concerned. Ms. DiVenere is Officer, Government and Political Affairs, at the ACOG and OBG Management contributing editor. And while she "reports no financial relationships relevant to this article," her very job may have depended on writing it. Which leads me to MOC's Greatest Lesson that it consistently teaches working physicians, both young and old: In medicine, it is okay to lie, cheat, and steal. I do not say those words lightly. Everything MOC touches is corrupt. 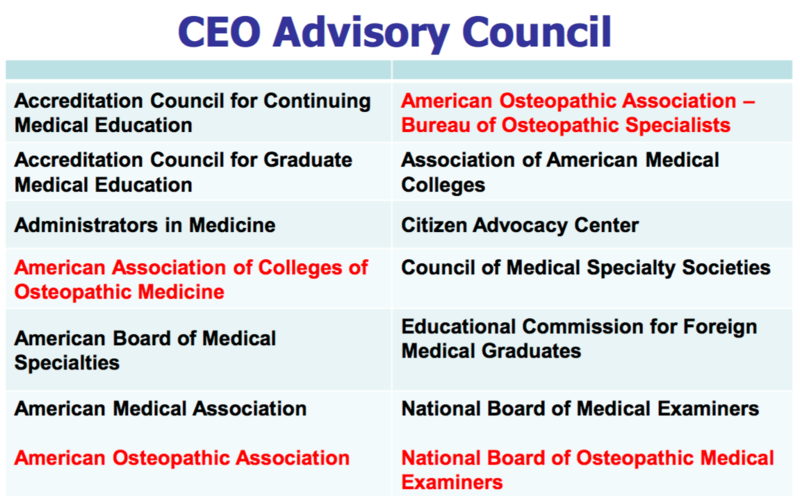 For a once simple medical accolade to be allowed to secretly morph into a one-billion-dollar-a-year enterprise and physician cudgel to fund the bloated bureaucratic and political aspirations of the Accreditation Council for Graduate Medical Education is beyond me. Yet this is precisely where working physicians find themselves. Are these the ethics to which we want our young doctors of tomorrow to aspire? Should they model turning a cheek the other way to ignore the implications of these actions on our patients just so specialty societies can maintain handsome salaries, political power, and "self-regulation?" Despite all that has been uncovered by following the money, I still can't believe it's taken one simple GoFundMe page three months to raise $150,000 from working physicians to fight this corruption. It seems MOC's Greatest Lesson has been taken to heart.